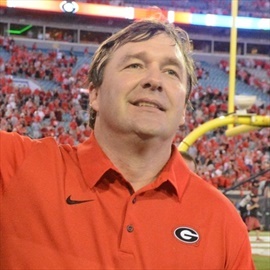 In his first two seasons at Georgia, Kirby Smart's program won the SEC Championship, the Rose Bowl Game and played in the 2018 College Football Playoff National Championship Game. Smart was hired December 6, 2015. Smart became the youngest coach to win the title in an SEC Championship Game appearance. Smart was named 2017 Georgia Munger National Coach of the Year by the Maxwell Football Club, SEC Coach of the Year by the Associated Press and SEC Coaches and the Regional Coach of the Year by the AFCA. A former standout defensive back and scholar-athlete at Georgia, Smart was one of the nation’s most respected defensive coordinators. During his time at Alabama, he coached players at three different positions, in addition to his coordinating duties. He was recognized as the 2012 AFCA Assistant Coach of the Year and the 2009 Broyles Award winner as college football’s top assistant coach. He was also a finalist for the 2015 Broyles Award. Prior to joining the Alabama staff in 2007, Smart spent the 2006 season as safeties coach with the NFL’s Miami Dolphins. 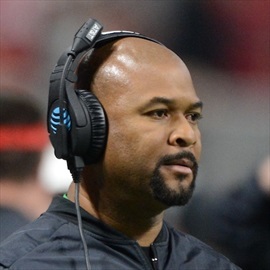 He served six years on the collegiate level as the running backs coach at Georgia (2005), defensive backs coach at LSU (2004), graduate assistant at Florida State (2002-03), defensive coordinator/linebackers coach (2001) and defensive backs coach (2000) at Valdosta State, and administrative assistant at UGA (1999). Smart was the running backs coach on Georgia’s 2005 SEC Championship team. His unit averaged 162.2 rushing yards per game, third in the SEC. He coached Thomas Brown, Danny Ware, and Kregg Lumpkin—all future NFL players. In 2004 at LSU, he tutored two NFL draft picks: Corey Webster (2nd round, N.Y. Giants) and Travis Daniels (4th round, Miami). As a player, Smart was a four-year letterman at defensive back for Georgia, where he was a first team All-SEC pick as a senior. He finished his career with 13 interceptions, a mark that still ranks fifth in UGA annals, and led the Bulldogs with six interceptions in 1997, five in ‘98. He led the SEC in interceptions during his final season. Smart also scored two points as a collegian. He was the first player in UGA history -- and one of just two Bulldogs since the rule was introduced in 1988 -- to return a blocked PAT kick for two points, having brought one back 88 yards against New Mexico State in his freshman year of 1995. The 2015 Alabama defense ranked first nationally in rushing defense, third in total defense, and third in scoring defense. .His 2014 Alabama defense ranked, passing fourth nationally against the run. The Crimson Tide ranked sixth nationally in scoring defense, while ranking 12th nationally in total defense. He helped junior safety Landon Collins earn unanimous first-team All-America honors while being selected as a finalist for the Nagurski Trophy, Thorpe Award and Lott Trophy. Smart crafted another elite Alabama defense in 2013 after losing six more players to the NFL. The Crimson Tide ranked fourth nationally in scoring defense while ranking fifth in total defense, seventh in rushing defense and 11th in pass defense. Alabama was fourth nationally in red zone defense and fourth in fewest first downs allowed. He helped mold C.J. Mosley into the nation’s best linebacker and winner of the Butkus Award. Smart retooled the Alabama defense in 2012, molding a unit that lost six starters to the NFL after the 2011 season. The Tide led the nation in total defense, scoring defense and rush defense while ranking seventh in pass defense and pass efficiency defense. The Tide defense featured two first team All-Americans in cornerback Dee Milliner and linebacker Mosley. Smart’s rebuilding job in 2010 was impressive, as the Tide remained one of the nation’s elite defensive units while replacing nine starters. Alabama led the SEC and ranked third nationally in scoring defense and fifth in total defense. The 2009 season was a special one for Smart, as he not only helped lead Alabama to the national championship but also took home the Broyles Award as the top assistant coach in the country. The UA defense again was regarded as one of the nation’s top units, leading the SEC and ranking second nationally in scoring defense pass efficiency defense, rush defense and total defense. In the 2010 BCS National Championship game against Texas, the Tide recorded four interceptions and scored a defensive touchdown. Three players on Smart’s defense earned first-team All-America honors – linebacker Rolando McClain, cornerback Javier Arenas and nose guard Terrence Cody. A four-time member of the SEC Academic Honor Roll, Smart received his BBA degree in Finance from UGA in 1998 and his M.S. in Physical Education from Florida State in 2003. The Bainbridge, Ga., native is married to the former Mary Beth Lycett of McDonough, Ga., a 4-year letterwinner, and 2-year starter, on the Georgia women’s basketball team from 2000-2003. The couple met long after their undergraduate days at UGA, when Lycett -- then working in the UGAAA business office -- helped arrange Smart’s trip to interview for the Bulldogs’ running backs coaching job in 2005. They are now the proud parents of twins Weston and Julia (Feb. 8, 2008) and son Andrew (May 25, 2012). Playing Experience: University of Georgia -- Four-year letterman at defensive back (1995-98)...1998 All-SEC first team...finance major and 1998 second team Academic All-America...13 career interceptions....Bainbridge (Ga.) High School -- Three sport letterman (football, baseball, basketball)...Class AAAA All-State as senior...16 career interceptions. 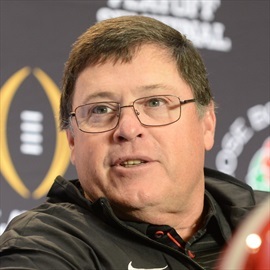 Jim Chaney was named offensive coordinator and tight ends coach at UGA in March of 2018 after two seasons coordinating the Bulldog offense and coaching quarterbacks. Chaney was part of a 2017 staff that led the Bulldogs to a record-tying 13 victories, first SEC championship since 2005, first appearance in the College Football Playoff, first appearance (and victory over Oklahoma) in the Rose Bowl CFP semi-final game, and first appearance in the College Football Playoff Championship Game. Georgia’s offense finished first in the SEC and 9th nationally in Rushing Offense (258.4 ypg), 3rd in the SEC in Scoring Offense (35.4 ppg), 5th in Total Offense (435.3 ypg), and 4th nationally in Red Zone Offense (0.964). In 2016, Chaney tutored rookie quarterback Jacob Eason, who started 12 of 13 games for the Bulldogs and threw for 2,430 yards, fourth-most for a freshman in UGA history. 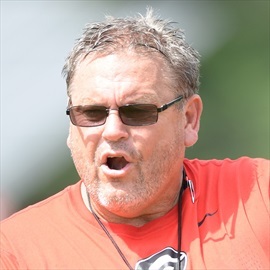 A 33-year coaching veteran in the Southeastern Conference, Big Ten, ACC, and the NFL, Chaney served the 2015 season at Pittsburgh after a two-year tenure at Arkansas (2013-14). He has also served as offensive coordinator at Tennessee (2009-12), Purdue (1997-2005), and Cal State Fullerton (1988-92). Tucker's wife, JoEllyn, earned her undergraduate degree at Illinois and her law degree from Rutgers. The couple has two sons: Joseph (15) and Christian (13). Scott Fountain, a native of East Brewton, Ala., returns to the Georgia staff as an on-field assistant after serving as a special teams analyst for the 2017 season, and also for a short time in the off-season as special teams coordinator at Mississippi State. Fountain contributed to the Bulldogs’ return to prominence on special teams this season. Rising junior Mecole Hardman averaged 25.3 yards per kick return, ranking No. 2 in the Southeastern Conference and No. 21 in the nation. Georgia’s special teams unit also held opponents to 5.9 yards per punt return and 19.5 yards per kick return. Those numbers were all reduced from a year before, when opponents averaged 6.1 yards per punt return, 23.8 yards per punt return. Additionally, placekicker Rodrigo Blankenship made 20 of his 23 field goal attempts this season, including two kicks over 50 yards in the College Football Playoffs. He made all 63 of his PAT attempts, kicked 67 touchbacks (a Georgia season record and No. 3 nationally) and was named a semifinalist for the Lou Groza Award. Punter Cameron Nizialek averaged 45 yards per punt (9th nationally) and was named a semifinalist for the Ray Guy Award. 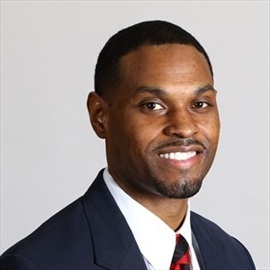 Former NFL wide receiver Cortez Hankton joined the Georgia coaching staff in February, 2018, after serving three years coaching wide receivers at Vanderbilt. During his three seasons at Vanderbilt, Hankton coached veteran Commodore receivers C.J. Duncan and Trent Sherfield along with Caleb Scott and Kalija Lipscomb. In 2017, Duncan and Sherfield combined for 102 receptions, 1,246 yards and 10 touchdowns. Sherfield ended his career among the program’s best in receptions (136) and 1,869 yards. In 2016 Duncan, Sherfield, Scott and Lipscomb combined for 129 catches and 1,715 yards. Lipscomb’s 27 receptions ranked No. 8 all time among Commodore freshman receivers. Sherfield also recorded 51 receptions in Hankton’s first season in Nashville (2015). Prior to his tenure at Vanderbilt, Hankton coached receivers for three seasons at Dartmouth in the Ivy League (2012-14). During that time, he helped the Big Green to a 20-10 overall record, including an 8-2 mark in 2014. In 2014, Hankton's receivers helped the Dartmouth offense average 31.3 points and 248.1 passing yards. His top receiver, Ryan McManus, earned All-Ivy League honors after catching 68 passes for 879 yards and eight touchdowns. Hankton's produced an All-Ivy caliber receiver all three years at Dartmouth. In 2012, senior Michael Reilly earned first-team recognition with McManus receiving honorable mention. In 2013, Big Green receiver Bo Patterson was an Ivy League honorable mention recipient. A graduate of Texas Southern, Hankton was signed as an undrafted rookie free agent in April, 2003, by the Jacksonville Jaguars. He proceeded to play in all 16 games as a rookie, catching 17 passes for 166 yards. In his four years with the Jaguars, he caught 34 passes for 310 yards and a pair of touchdowns, both of which came in his sophomore campaign in 2004. Hankton signed with the Minnesota Vikings in 2007 and spent the entire 2008 season on injured reserve with the Tampa Bay Buccaneers. After his NFL career, he signed with the New York Sentinels of the United Football League. The next year he played for the Florida Tuskers and head coach Jay Gruden, earning a nomination for the league's Offensive Player of the Year. The Tuskers then moved to Virginia as the Destroyers for the 2011 season, and Hankton was a part of head coach Marty Schottenheimer's squad that won the UFL championship. Prior to joining the Dartmouth staff in 2012, Hankton spent three months working as a volunteer assistant with the University of Central Florida. In that role, he helped formulate recruiting priorities and travel plans, plus evaluated prospective student-athletes and broke down film of recruits. From 2008-10, Hankton spent time training draft-eligible athletes for the NFL combines with Tom Shaw Performance Training Camps. In early 2010, he also served as non-paid receiver coach at Dr. Phillips High School in Orlando. Hankton received his bachelor's degree in business administration from Texas Southern in 2002, where he set school season and career records for receiving yards. A four-year starter and two-year captain, he was Texas Southern's team MVP and an All-Southwestern Athletic Conference recipient as a junior and senior. Hankton culminated his collegiate career by being named as a Division I-AA third-team All-America by the Associated Press. Off the field in 2011, Hankton created Black Ice Concept, an organization that strives to increase minority presence in winter sports by obtaining sponsorships and funding to subsidize expenses for the athletes. He has demonstrated his commitment to academics many times over as well, including the creation of the Cortez Hankton Scholarship Fund for exemplary student-athletes in 2003 and his work with Read Across America through the NFL and the National Education Association. From 2016-17, Hankton volunetered with “Walk for Wishes,” a fund raising program for Make-A-Wish Middle Tennessee. A native of New Orleans, Hankton is the son of Cortez Sr. and Sherome Hankton, both officers in the New Orleans Police Department. Hankton was a standout athlete and multi-year starter at St. Augustine High School in New Orleans. Hankton and his wife, the former Shon Holder, were married in July, 2014. They are the parents of Cortez “Trip” Hankton III. 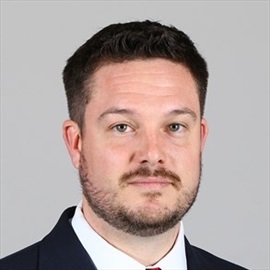 Dan Lanning was named an assistant coach at the University of Georgia in January, 2018, after serving two years as inside linebacker coach and recruiting coordinator at the University of Memphis. At Memphis he was part of a staff that that led the Tigers to their third 10-win season in school history and finished in the top five in the country in turnovers gained two years in a row. On that team, Lanning coached two-time first team All-American Athletic Conference linebacker Genard Avery. Lanning began his collegiate coaching career as a graduate assistant on the Panthers staff. In his role, Lanning worked with the defensive backs coach and as a lead recruiter for several states in the Northeast. In 2011, the Pittsburgh defense ranked nationally in sacks (3rd), TFL (12th) and rushing defense (21st). The Panthers went 6-6 overall and 4-3 in the BIG EAST Conference and earned a BBVA Compass Bowl berth. Following the 2011 regular season, Lanning moved into the role as defensive backs coach prior to and during the team’s bowl appearance in Birmingham, Ala. Lanning’s promotion came as a result of Graham leaving to take over the Arizona State program prior to the Panthers’ bowl game. Dell McGee was named Assistant Head Coach in March of 2018 after two seasons as an assistant coach, overseeing running backs. McGee was part of a 2017 staff that led the Bulldogs to a record-tying 13 victories, first SEC championship since 2005, first appearance in the College Football Playoff, first appearance (and victory over Oklahoma) in the Rose Bowl CFP semifinal game, and first appearance in the College Football Playoff Championship Game. Georgia’s offense finished first in the SEC (9th nationally) in Rushing Offense, 3rd in Scoring Offense, 5th in Total Offense, and 2nd (4th nationally) in Red Zone Offense. The 2017-18 campaign was a banner year for McGee. His two star pupils, Nick Chubb and Sony Michel, finished as the Nos. 2 & 3 career rushers in UGA history, amassing over 8,400 yards and 87 TDs between them. 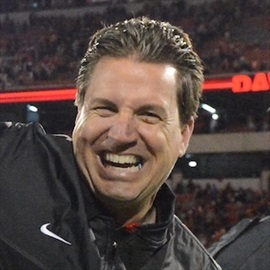 Additionally, Rivals.com named McGee the 2018 National Recruiter of the Year after the Bulldogs signed the consensus No. 1-rated recruiting class. Just 10 days before he came to UGA, McGee had led Georgia Southern to victory in its first-ever bowl game (GoDaddy Bowl) as interim head coach. McGee served as running backs coach at GSU in 2014-15, when the Eagles led the nation in rushing offense—384 yards per game in 2014 and 363 yards per game in 2015. GSU won the Sun Belt Championship in 2014 and had four backs top the 600-yard rushing mark in 2015. McGee had been promoted to associate head coach early in the 2015 season. Prior to joining the Georgia Southern staff, McGee served one season at Auburn, his alma mater, where he worked as an analyst in 2013 when the Tigers reached the BCS Championship Game. McGee began coaching at the high school level as an assistant coach in 2001. He has had a number of players advance to the professional ranks, including Georgia All-American Jarvis Jones, and UAB offensive lineman Chris Hubbard, both with the Pittsburgh Steelers. Another former Tiger, DeQuan Menzie, was a 2011 draft pick of the Kansas City Chiefs. Tailback Isaiah Crowell, SEC Freshman of the Year at Georgia in 2011, was a 2014 Free Agent signee for the Cleveland Browns, while Gabe Wright was drafted in the fourth round of the 2015 draft. Corey Crawford signed a rookie free-agent deal with Washington in 2015. In 2011, McGee was selected to coach in the third annual Under Armour High School All-America Game in St. Petersburg, Fla.
McGee was a two-year starter and four-year letterwinner at Auburn from 1992-95, helping preserve the Tigers’ undefeated 1993 season with a critical interception against Alabama. He was selected in the fifth round of the 1996 NFL Draft by the Arizona Cardinals and remained with the organization through 1998. McGee played overseas in NFL Europe in 1999 and then concluded that season with the Detroit Lions. Additional stops in the Arena Football League and with the XFL closed out his professional career. McGee had two interceptions in the XFL and ranks on the league’s career interceptions top-10 list. McGee lettered in football and track at Kendrick High School in Columbus, Ga.
McGee and his wife Linda have a son, Austin. Pittman was part of a 2017 staff that led the Bulldogs to a record-tying 13 victories, first SEC championship since 2005, first appearance in the College Football Playoff, first appearance (and victory over Oklahoma) in the Rose Bowl CFP semi-final game, and first appearance in the College Football Playoff Championship Game. Georgia’s offense finished first in the SEC and 9th nationally in Rushing Offense (258.4 ypg), 3rd in the SEC in Scoring Offense (35.4 ppg), 5th in Total Offense (435.3 ypg), and 4th nationally in Red Zone Offense (0.964). 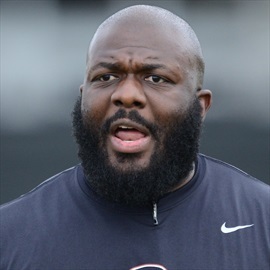 Pittman is widely regarded among the nation’s best offensive line coaches and recruiters. Since 2013, eight offensive linemen coached by Pittman have been drafted, including two first-round picks, and three others have signed free agent contracts. Two of his charges in 2017 — senior Isaiah Wynn and freshman Andrew Thomas — earned All-America and All-SEC honors. In 2015, Pittman’s Arkansas team finished second in the SEC in total offense (456.8 ypg), second in scoring offense (40.2 ppg), and third in passing offense (264.2 ypg). He previously served as offensive line coach at Tennessee (2012), Associate Head Coach and offensive line coach at North Carolina (2007-11), and offensive line coach at Northern Illinois (2003-06). Pittman previously served as offensive line coach at Tennessee (2012), Associate Head Coach and offensive line coach at North Carolina (2007-11), and offensive line coach at Northern Illinois (2003-06). 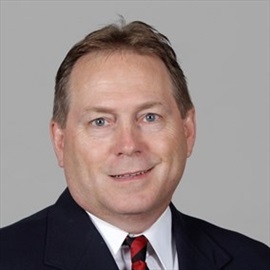 Glenn Schumann was named inside linebackers coach at the University of Georgia on Dec. 12, 2015, after serving two years as Director of Player Development and Associate Director of Player Personnel at the University of Alabama. Schumann was part of a 2017 staff that led the Bulldogs to a record-tying 13 victories, first SEC championship since 2005, first appearance in the College Football Playoff, first appearance (and victory over Oklahoma) in the Rose Bowl CFP semi-final game, and first appearance in the College Football Playoff Championship Game. Georgia’s defense finished second in the SEC and 6th nationally in Scoring Defense (16.4 ppg), 2nd in the SEC and 6th nationally in Total Defense (294.9 ypg), and 2nd in the SEC in Rushing Defense. Schumann’s star pupil over his first two years was Roquan Smith, the Bulldogs’ leading tackler who capped his junior season by winning the Butkus Award as the nation’s top linebacker, in addition to being named SEC Defensive Player of the Year. Smith was a consensus All-American, finalist for the Nagurski and Bednarik Awards, and finished in the top ten in the Heisman Trophy voting. Schumann spent eight years with the Crimson Tide, first as an undergraduate analyst (2008-Dec. 2011) and then as a graduate assistant (Dec. 2011-Feb. 2014). In February, 2014, he was named Director of Player Development and Associate Director of Player Personnel serving in those positions until December, 2015. During his tenure at Alabama, the Crimson Tide won three BCS National Championships, one College Football Playoff national title, three Southeastern Conference crowns, six SEC western division titles, and was ranked in the nation's final top ten rankings eight years in a row. In seven of those eight years the Alabama defense finished no lower than fifth nationally in total defense, and in the top ten in scoring defense all eight years. The 2011 defense led the nation in all five major categories including total defense (183.6 ypg), scoring defense (8.2 ppg), rushing defense (72.2 ypg), passing defense (111.5 ypg) and pass efficiency defense (83.69 rating). In his role with player development at Alabama, Schumann’s responsibilities included a number of off-the-field activities for Alabama’s football student-athletes. He served as an important resource in balancing their demands of academics, athletics and community outreach. He was also involved in the organization of all recruiting efforts. Schumann comes from a long line of coaches. His father Eric, after playing safety for Alabama in the mid-70s, spent 20 years in college football as a defensive coordinator. Among his coaching stops were UAB, Tulane, SMU, East Tennessee State, Valdosta State, Livingston, New Mexico and Troy. Schumann’s grandfather Jack Haskin was a coach on the first football team at Florida State University and is a member of the FSU Hall of Fame. In addition, Schumann’s mother, Dr. Sherry Schumann, is a former collegiate coach and Athletic Director. 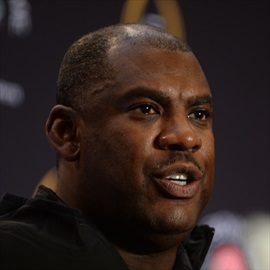 Tray Scott was named defensive line coach at UGA on February 10, 2017, after serving two years in a similar position at the University of North Carolina (2015-16). Scott was part of a 2017 staff that led the Bulldogs to a record-tying 13 victories, first SEC championship since 2005, first appearance in the College Football Playoff, first appearance (and victory over Oklahoma) in the Rose Bowl CFP semi-final game, and first appearance in the College Football Playoff Championship Game. Georgia’s defense finished second in the SEC and 6th nationally in Scoring Defense (16.4 ppg), 2nd in the SEC and 6th nationally in Total Defense (294.9 ypg), and 2nd in the SEC in Rushing Defense. In his first year at Carolina, Scott was part of a defensive staff that engineered the best turnaround in college football. Carolina was the nation’s most improved Power 5 defense, averaging 14.5 points fewer than the previous year, while also showing the most improvement from the previous year in pass defense efficiency. The Tar Heels led the ACC in interceptions, turnovers gained, turnover margin and passes defended en route to a record-setting 11-3 season and a berth in the ACC Championship Game and a No. 15 final ranking in both national polls. Scott earned his bachelor’s degree in sociology from Arkansas Tech in 2008. He also received his Master’s degree from Arkansas Tech in 2010. He is married to the former Sarah Fancher and the couple has a son, Julian Thomas Scott, born on May 22, 2017. James Coley, former offensive coordinator at Miami and Florida State, was named Co-Offensive Coordinator and Quarterbacks Coach at UGA after two seasons coaching the Bulldogs’ wide receivers. Coley was part of a 2017 staff that led the Bulldogs to a record-tying 13 victories, first SEC championship since 2005, first appearance in the College Football Playoff, first appearance (and victory over Oklahoma) in the Rose Bowl CFP semi-final game, and first appearance in the College Football Playoff Championship Game. Georgia’s offense finished first in the SEC and 9th nationally in Rushing Offense (258.4 ypg), 3rd in the SEC in Scoring Offense (35.4 ppg), 5th in Total Offense (435.3 ypg), and 4th nationally in Red Zone Offense (0.964). 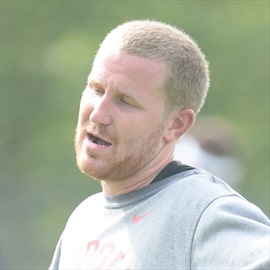 Coley’s first year of coaching the Bulldog receivers produced an outstanding season from Isaiah McKenzie, who caught 44 passes and scored seven touchdowns. He was later taken by the Denver Broncos in the fifth round of the 2017 NFL Draft. Coley earned his bachelor’s degree from Florida State in 1997 and his master’s degree from LSU in 2004. He and his wife Kenia have two children – Madison and Brady.